Quilters Dream Batting is committed to quality, service, and innovation. We use only the highest grade fibers and processing technology to bring our customers the finest batting possible. We havea wide range of battings to suit your quilting needs. Our company goal is to exceed your expectations in every way we can, with an emphasis on consistent high quality and friendly, dependable customer service. 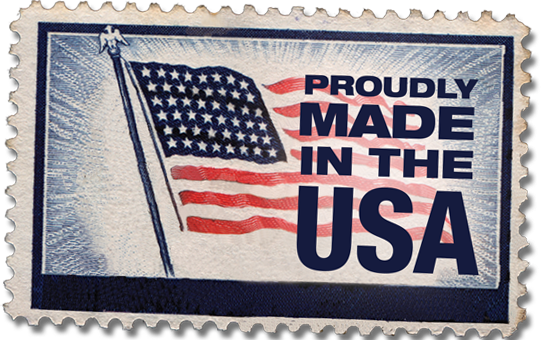 Quilters Dream Batting is proudly made in the U.S.A.! We are dedicated to serving independent quilt businesses, so we will work hard to provide you with exactly what you want and need to help your business thrive. 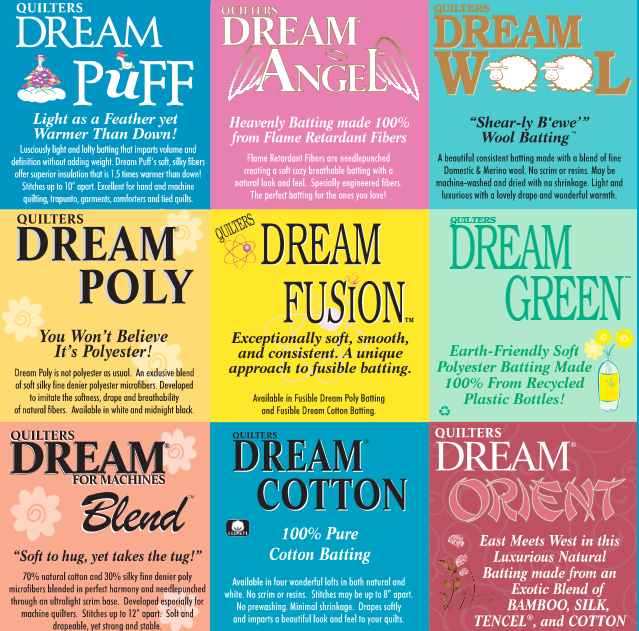 Quilters Dream is a high quality specialty quilt batting made especially for quilt businesses, so our batting is never sold in chain stores or big box discount stores. Can you tell me if you will have a booth at the Quilt Craft and Sewing Festival in Puyallup Washington on November 14, 15 and 16? If not, do you know if there will be vendors there with your products? Unfortunately, we are not attending the festival in Puyallup, WA. We attend two shows a year, International Quilt Market in the fall and spring. How can I find out about buying wholesale? Can you tell me if any of your products are free of fire retardants? Thank you for your interest in Quilters Dream Batting. The only batting that we have available that is flame retardant is the Dream Angel; the rest are not. The Dream Angel is made from fibers that are inherently flame retardant with no bromides or other chemicals. Thank you for choosing Quilters Dream Batting. Please let me know if I can be of further assistance. I am trying to decide on a batting to use in a very lightweight summer quilt. It will be used on our bed. Wool is out. I am considering silk but am open to whatever possibility will be the least warm. Any ideas? Thanks.